Introducing... The Godzilla Novelization Project! The GNP (because every project needs a (hopefully) awesome abbreviation, right?) is an initiative on my part to - eventually and over time - create full novelizations of EVERY Japanese Godzilla film, and share them, completely free, with you, the fans. 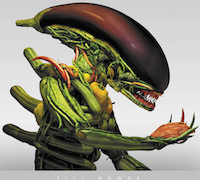 This is obviously something I could never make money doing; it is simply a passion project, not endorsed, approved, or (currently) on the radar of Toho Co. Ltd. These books could never be published in print without Toho’s approval, and therefore they will be presented online, free of charge, to any and every fan who wants to read them. Books will be uploaded one (or possibly more) chapter(s) at a time, with multiple books being worked on at the same time. The website linked above will be the archive for these books, as well as the place for updates regarding the project. 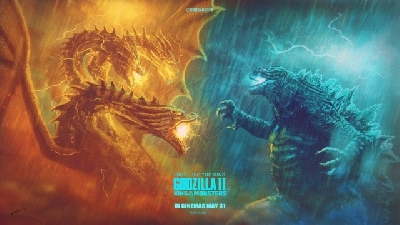 - A Novella entitled Godzilla, King of the Monsters! - The Steve Martin Report. 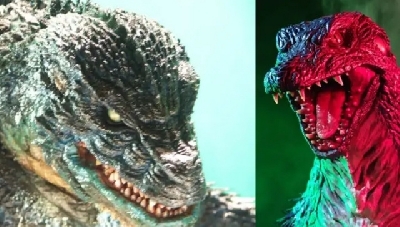 In addition, the GNP is also home to a secondary project: a series of detailed Godzilla Timelines that chronicle the events of the multiple series' and universes that make up the franchise! The Sony Timeline, detailing events from the 1998 Godzilla film and it's cartoon series sequel. The Anime Timeline, detailing events from the Toho/Polygon Godzilla universe, including details from the prequel novels! The site also features a series of "Monster Musing" blogs, links to interviews and appearances, and other surprises! For those who are interested in following this insane project, please feel free to follow me on Facebook and other social media platforms! Follow the GNP on Facebook! 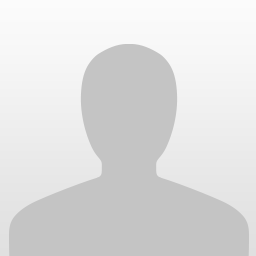 Tweet at me on Twitter! Or shoot the project an email! In addition, here is a link to my Patreon page. Any money donated to this page by my readers will enable me to more easily procure necessary research materials used in the crafting of the novelizations (including scripts, Japanese books containing information on deleted scenes and behind the scenes details, promotional material with bits of ephemera to be included in the Timelines, etc. ), hire/pay for the services of translators for material that I am unable to read/translate myself, and work less hours at my jobs on a given day or days, allowing me to write during that time and provide you with your content faster. In addition, more donations will allow me to craft rewards for those who would sacrifice their hard earned money. I do have rewards currently in place that range from recognition on the site and early access to chapters and updates, to having your name inserted into a book in progress as a previously unnamed character! Check out the Patreon page for more details. Also, be sure to check out my AWESOME interview with the guys at Kaijuvision Radio! It's a great listen, and was an absolute blast to do! I'd like to thank you all for taking the time to read this, and for your hopeful support of this endeavor. It is truly exciting to be working on this, and I hope that the coming stories will remind you of just how much Godzilla means to you. 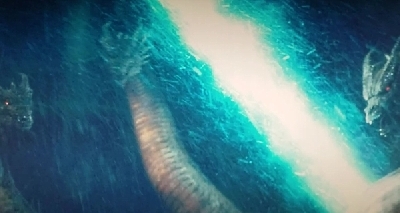 No matter who you all are, we are all united by our common love and enjoyment of this incredible and awesome character, and while my novelizations might tell the stories you already know, I hope they will present them in a way that allows you to look at your favorite films with fresh eyes. Most of all, I hope you have fun. So, let the fun begin! Long live the King, baby! 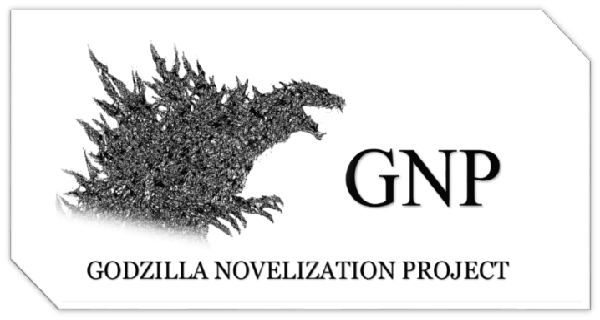 The Godzilla Novelization Project: Follow Along Today! 30 Responses to Announcing: The Godzilla Novelization Project! Thanks, guys! I appreciate the support! Be sure to share the project with Godzilla loving friends if you think its something they'd be interested in! Slight update: I'm currently working on another prologue, which should be done tonight or tomorrow! Hopefully you guys like it! I've been really flattered to see the amount of referrals the GNP site is getting from this page, and I thank all of you! Hopefully you've enjoyed what you've read so far! I have a new prologue up now for the 1974 classic Godzilla vs. Mechagodzilla! Its a short one, but hopefully it sets the stage for the 70's insanity to come! To be honest, at least doing this out of passion is better than not doing it at all. Looking forward to it and keep up the good work. Very cool, to be honest. I'd love to do this myself since some of these movies would translate perfectly to novels, or even comics/graphic novels. Would be super fun to adapt these to a different medium. I do stuff. A lot of stuff. And make a lot of enemies doing it. Its Godzilla, King of the Monsters! - The Steve Martin Report! Essentially, The Steve Martin Report is a first-person recounting of the events of Terry Morse’s 1956 “Americanization” of the original Godzilla, told in the form of a written report by the character of Martin, as played so memorably by the late, great Raymond Burr. The novella is presented as a sort of “in-universe artifact”, a final word report prepared by Steve for his boss in Chicago. Part 2 is nearly completed, so stay tuned for the rest soon! Until then, follow the link above to read the synopsis and Part 1! Today, March 17th, marks the 45th anniversary of Godzilla vs. Megalon! To celebrate, I have published the prologue to the GNP's novelization of the movie! Consider it a birthday gift to a film I have loved since childhood. Read the prologue to Godzilla vs. Megalon: The Unofficial Novelization here! The GNP has officially finished its first writing project… Godzilla, King of the Monsters - The Steve Martin Report is complete! Read the first two chapters of Godzilla vs. Hedorah here! A new novel has been started! 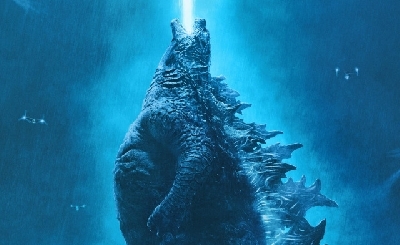 Which film is up next for the Godzilla Novelization Project? Check it out here and find out! Hey, quick question. So I know that here you said that you are creating "full novelizations of EVERY Godzilla film". But my question is, does that include the 1998 and 2014 films, or not? ^Good question! I actually will not be tackling those films, as English language novelizations of both films already exist, officially published to coincide with each film's respective theatrical release. They can still be found easily online, as well. For the most part, the GNP will focus on bringing fans novelizations to films that don't have English novelizations already. 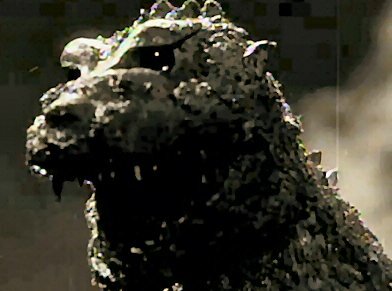 That said, I'd LOVE to one day tackle some stories from those films' universes, such as adapting episodes of the 1998 GODZILLA: The Series into short stories or novellas. I think that would be fun, and an excuse to do some writing in the continuities of the Hollywood films. You're welcome for the question. And btw, pretty sure only the 2014 version got a novelization, and even then, pretty sure it was a "prequel" (It's in quotes because it's not really a prequel.). Unless there is a link to where both of these can be found, pretty sure it's just the 2014 that has one. GODZILLA: The Novelization by Stephen Molstad. Published in 1998. GODZILLA: The Junior Novelization by H.P. Gilmour. Published in 1998. Godzilla: The Official Movie Novelization by Greg Cox. Published in 2014. If I'm being honest, when I read the title of "GODZILLA: The Junior Novelization", I honestly thought it was a book for Godzilla the Series. But then I remembered it wasn't. Lol. In honor of its 54th Anniversary and the 84th birthday of its leading man, the great Akira Takarada, the GNP is honored to present the beginning of a new Godzilla novelization, retelling one of the series’ finest moments: 1964’s, Mothra vs. Godzilla. You're welcome for my comment, thank you for your reply and announcement, and for the announcement I have one thing to say: hip, hip, hooray. Its been a while since I updated this page, but rest assured, things have been progressing in these last few months! 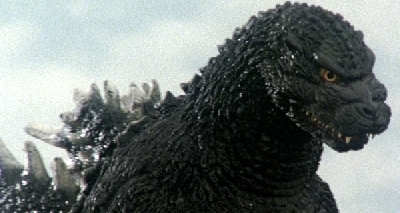 - Godzilla vs. Hedorah now has four chapters! - Godzilla vs. Gigan has begun! - I've launched the Timeline part of the project (see above or click link for details)! 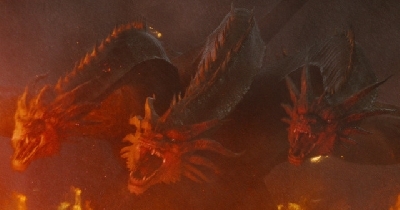 - I've made connections in the Godzilla community pertaining to research, press, and merchandise production for the project! - PRESS! 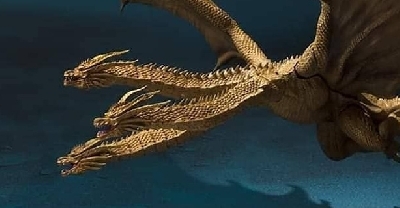 I was interviewed on KaijuVision Radio last month (a link to the episode will be posted when it's released), and I'll have an article on the project in this month's issue of Prehistoric Times Magazine! More new stuff is coming soon, so stay tuned! 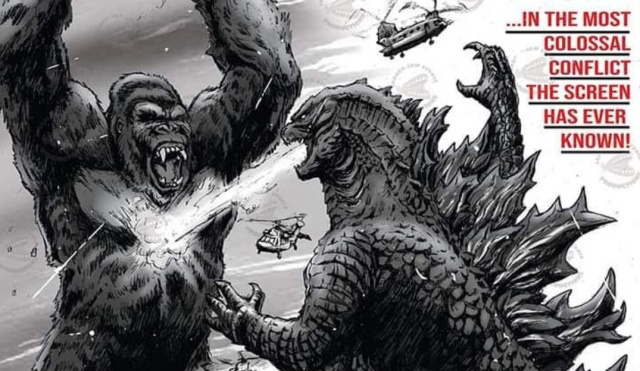 A new chapter of Godzilla vs. Megalon has been completed and published! My interview on Kaijuvision Radio is now live! This was an absolute blast to do, and I couldn't be more grateful to hosts Brian and Nate for their support of/interest in the project. Check out the episode here, and happy listening! Its been a while since I've updated this page, but a lot has happened in the last few months! - The launch of a behind-the-scenes blog I've dubbed my "Monster Musings"
Lots to discover, lots to read, and lots to (hopefully) enjoy! The pertinent links to all the new material can be found in the main post. Be sure to give everything a read and let me know what you think! Comment here, on the GNP website, hit me up on Twitter and Facebook, or email me to give me feedback, reviews, ideas, or to cheer me on! How did I miss this before now? It's bonkers but brilliant! You've set yourself such a tremendous workload, but I know you'll love every minute of it. I greatly admire your passion & dedication. Sharing it in such a generous manner is the greatest thing of all! PS Congrats on the success of the GNP, I'm working my way through the chapters & your guest podcasts. ^Thank you so much, Lone! Great to talk to you again; it's been a while! Ive definitely been having a blast with this project. It's been a dream of mine for over a decade, and to finally be doing it is a thrill beyond compare. I've been truly touched by the response it's gotten so far, and I hope these books continue to both entertain and honor the legacy of the films and their creators. I'm glad you're enjoying what you're reading so far! Feedback and reviews are always welcome. Thank you again for your support and kind words! They truly mean the world to me.